This is in a set of 100 minis each. However, feel free to contact me if you need a certain amount (you can order 2 if you want 200, but if you only want 150 or you want just 50, please let me know and I'm happy to do any amount). 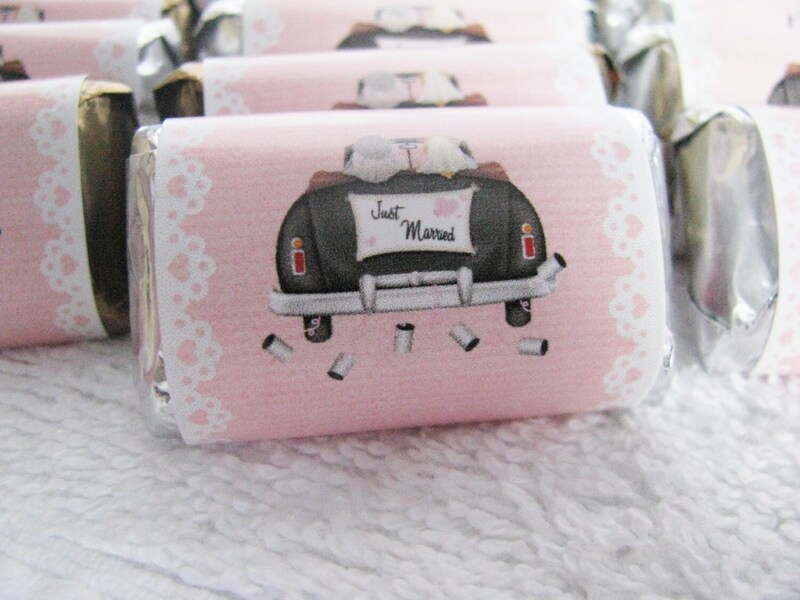 Gay wedding Favors add a special touch to your wedding. 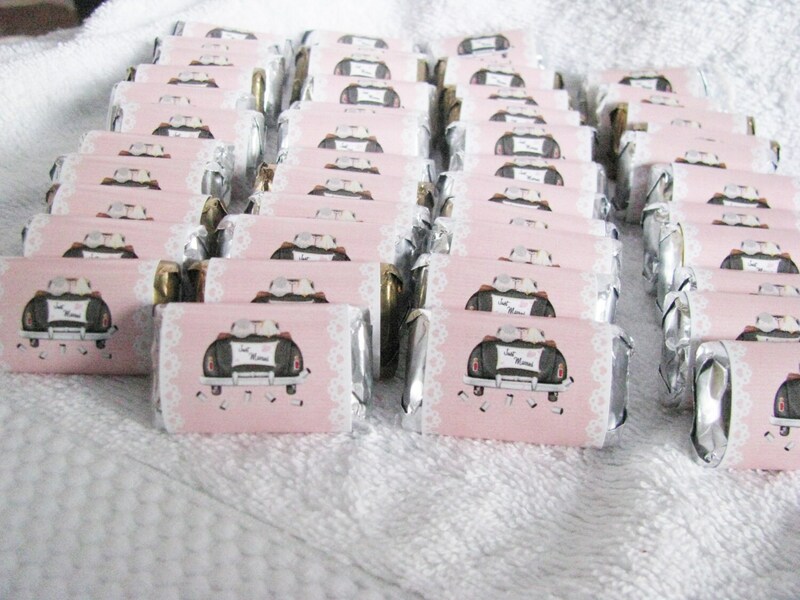 Our favors are endless! We know you've waited a long time for this day and we want to help you celebrate. 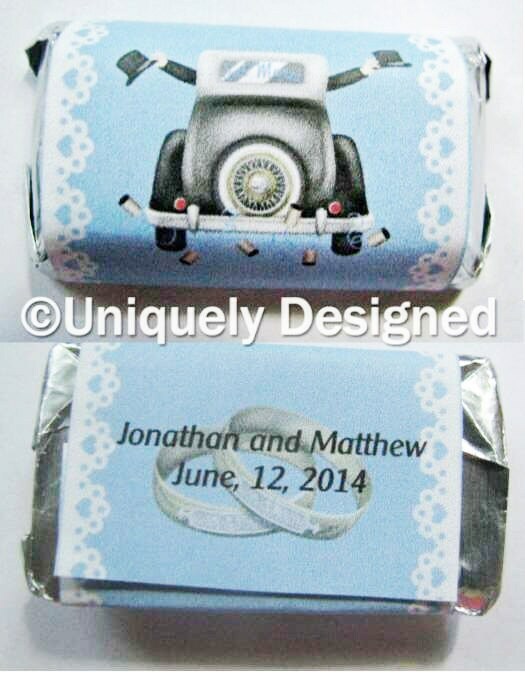 So here are some of our Gay wedding favor samples (we have more options and designs, as well as custom designs). 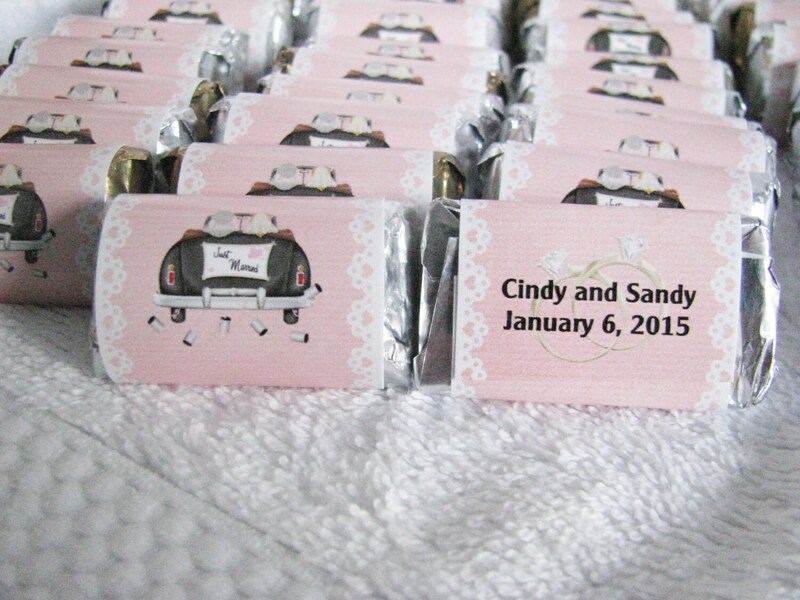 Pick from our personalized Hershey minis or our Hershey kisses. Or mix and match them. This listing has shipping up to 300 minis. You can order more or less. Please send me a convo to set up a custom listing if you need more than this. You can also check out our Hershey kisses and if you would like to mix and match, please convo us for a custom listing with combined shipping. Please convo me with what you'd like and I will put a custom listing up with shipping and the price for what you need. We know how hard it is to find items for Gay weddings so we want to help. 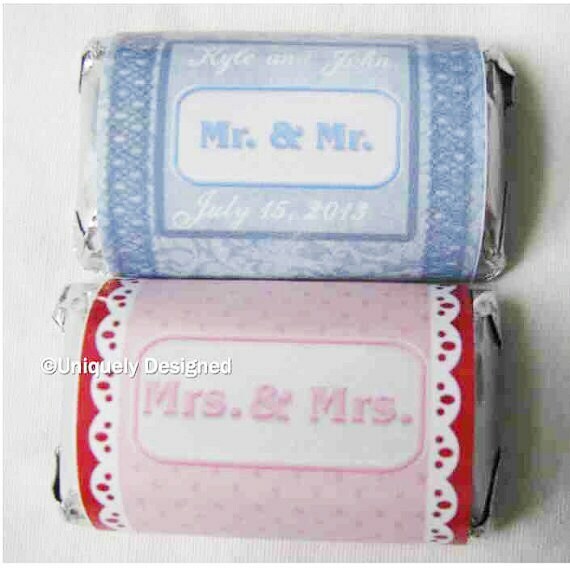 Whether its invitations, favors, place cards or anything else in our shop. We will customize anything we make for your wedding day.